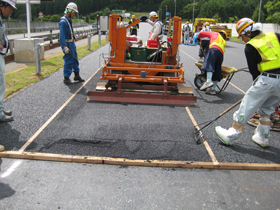 The PRMS construction method is a resin-based mortar construction method that fills the voids in the surface of porous asphalt paving with water-permeable resin mortar. 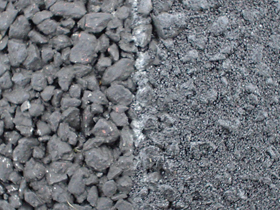 This strengthens the surface of the porous asphalt paving, allowing maintenance of the function and extension of the paving lifetime. The PRMS construction method uses a high-performance resin binder with outstandingly high durability and swift hardening and a special small grain size aggregate. 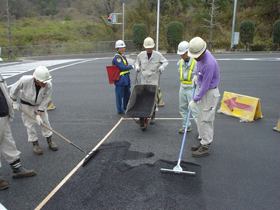 Road surface strengthening can be planned, and aggregate scattering due to twisting at intersections and the use of tire chains in cold regions can be inhibited. Maintains the low noise function. Skid resistance will be improved. 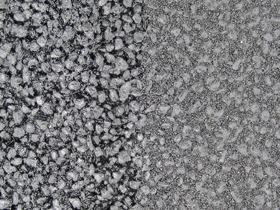 ※For anti-freeze function, PRMS Multi-functional method which rubber crumb is used as main material is prepared.